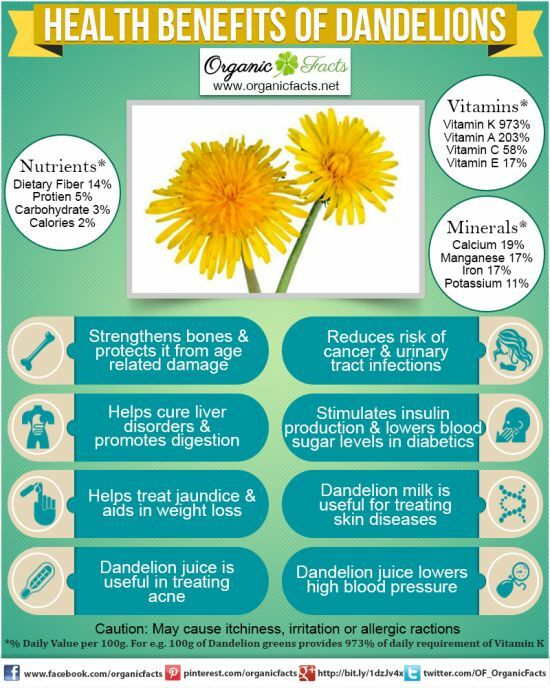 Dandelion – More than just a Weed? But before you take off running for the sprayer……STOP!!! And let me tell you about the numerous benefits of this overlooked flower. Did you know that dandelions are herbs that are used for medicinal purposes? They contain Vitamins A, C, D, E, and K. They also contain a sufficient amount of zinc, iron, magnesium and potassium. They’re also packed with a load of benefits. Dandelion has been shown to have an effect on blood sugar levels, acting as a stabilizing agent, buffering against extreme highs and lows. Drinking dandelion tea three times a day is helpful for the management of diabetes, according to Ohio University. Dandelion is high in oxalates and the tea may be consumed at the same times as high-calcium foods, which bind in the intestine, creating protection for the kidneys. The leaves of the dandelion plant have a diuretic action on the body, and can be consumed as a tea to help bring on weight loss, as well as reduce excess fluids in the body. 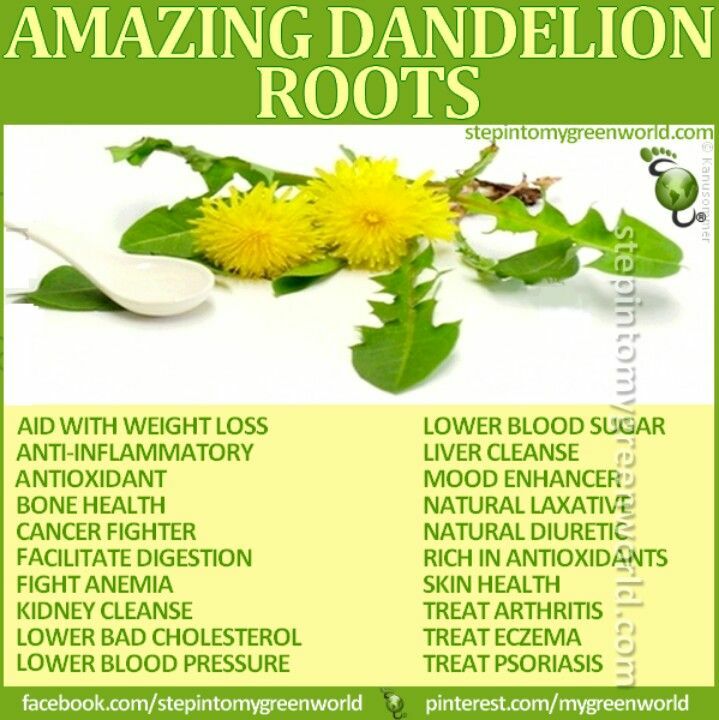 Note: Dandelion tea has antioxidant properties. Drinking this tea may have anti-aging effects. You can purchase Dandelion tea at any of your local grocery store.